I can’t explain what possessed me to bake an enormous chocolate chip cookie in the bottom of a pie plate and then pile it high with hot fudge, mint chip ice cream, whipped cream, toasted almonds and chocolate shavings. I could try to convince you that I was motivated by it being Pi(e) Day, but seeing as 3.14 came and went a few days ago that reason wouldn’t really be valid. Or I could blame the green ice cream on St. Patrick’s Day coming up. These would only be excuses. 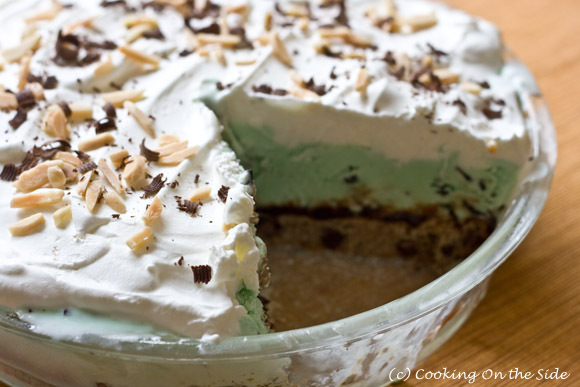 The truth is…I made this Ice Cream Cookie Pie because I knew it would be so good! I freely admit it, I completely gave in to an wholly hedonistic desire on my part to make a cookie sundae. I’m borderline embarrassed about it, but I have a sneaky suspicion that there may be some others of you out there who think this would be a good idea too. In fact, I know there are – a few have been to my house this week to help eat this thing. 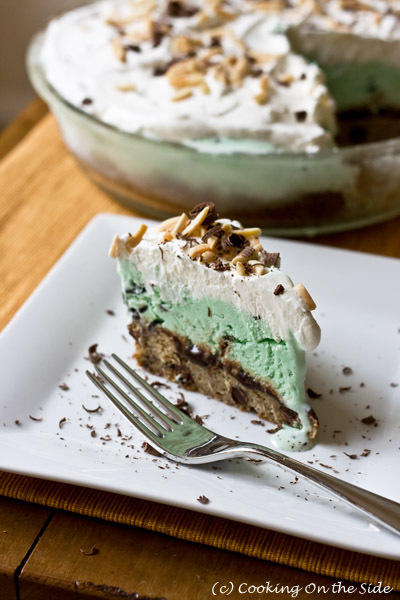 I’ve been dreaming about ways I could execute this pie ever since I found a recipe for a cookie-crusted ice cream pie on the back of a package of store-bought chocolate chip cookies almost two years ago. I knew I’d want to make a few modifications – namely I’d want to bake my own cookie crust rather than press the store-bought cookies into the base, and I’d prefer to whip my own cream than to use “frozen whipped topping”. I thought about making my own hot fudge and ice cream as well, but I didn’t want to spend the entire weekend putting this pie together. 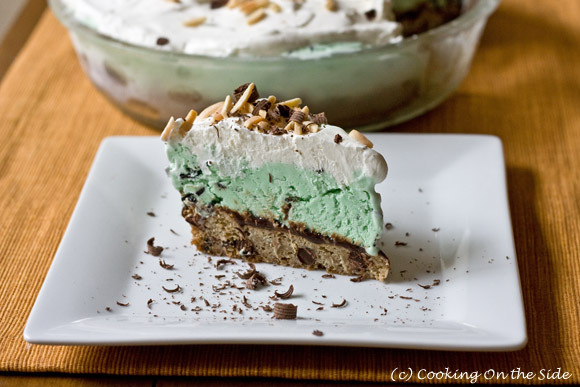 If you like cookies and ice cream, this is your pie. Maybe the cookie portion came out a little thicker than I’d envisioned. Oh no, too much chocolate chip cookie…yeah, I didn’t fret over this too much. It’s a decadent beast, but I’ll tell you what, I saw nothing but smiles on any of our faces as we dove into it. Inspired by the Triple Chocolate Frozen Dessert recipe on the back of the Culinary Circle Soft & Chewy Chocolate Brownie Cookies package. Chocolate chip cookie portion adapted from Ready for Dessert, by David Lebovitz. Preheat the oven to 350°F. Grease a 9″ pie plate (or spray with Pam for Baking). In a stand mixer fitted with the paddle attachment (or in a bowl by hand), beat together the butter, brown sugar, granulated sugar and vanilla on medium speed just until smooth. Beat in the egg until thoroughly incorporated, then stir in the flour mixture followed by the chocolate chips. Press the cookie dough into the pie plate (if, for some reason, you’d rather not have quite as thick a cookie layer as I did you might hold out some of the dough and bake off a few cookies for yourself separately). Bake about 25 minutes until the cookie is baked through and golden. Allow it to cool completely on a rack, then transfer to the freezer until frozen, at least 2 hours. Spread on a thin layer of hot fudge; freeze for an hour. About 15 minutes before the hour is up, set out the ice cream to soften. Spread on the ice cream over the hot fudge. Place plastic wrap on top and freeze for 3-4 hours. With an electric mixer, or by hand with a whisk, whip the cream and powdered sugar together in a small bowl until soft peaks form. Spread the whipped cream over the ice cream and freeze at least one hour. 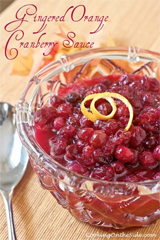 Remove from the freezer 5-10 minutes before serving. Sprinkle with toasted almonds and shaved chocolate, if desired. 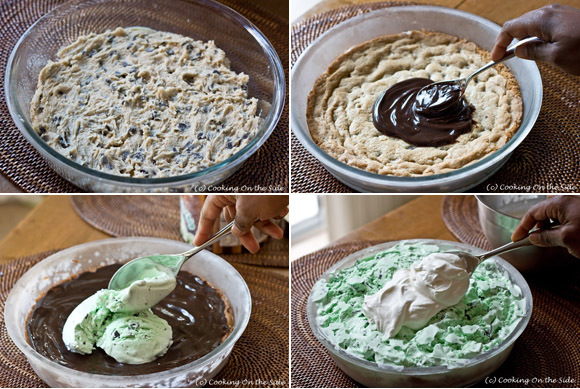 This looks absolutely sinful….and delicious! How delicious! AND, super easy to put together too! My family would love this. Cookies and ice cream– two of my favorite things! (And mint chip, no less. Yum!) This looks outrageously good! Yes, please. Cookies. Mint. Sign me up. I want a piece! Great dessert! It’s pretty safe to assume that I would be able to finish this whole pie in one sitting. OMG!!! My mouth is watering!!!! There is no reason to be embarrassed by this pie. It’s pure genius! Now I really really want mint chocolate and ice cream. Okay, I ALWAYS really really want them…but now it’s more like really times five hundred. 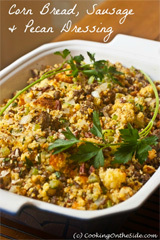 Joanne´s last blog post ..Lentils and Shells with Cilantro-Scented Onions and Swiss ChardEatLiveBe for a Better 2011! Looks like a delicious labor of love! That, right there, is a slice of heaven. OH MY! I have to try that. Glorious! Wow – this looks amazing! The cookie base is brilliant! Thanks for sharing. Any tips for baking at high altitude (5000 feet)? I can’t wait to try this! Hi Erin – I’ve done some asking around and I’ve been told you often need to lower the temperature when baking at higher altitudes and let things bake for a bit longer. Oh yeah, I would definitely eat this! I would have totally helped you eat this! Looks wonderful! 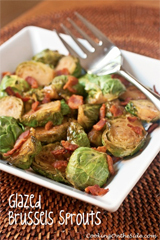 that looks sooo tasty definitely bookmarking this blog! This is my type of birthday cake !!!! Love ice cream cakes. .
Next post: Celebrating 2 Years With a PB&J Sandwich Cake & Giveaway!